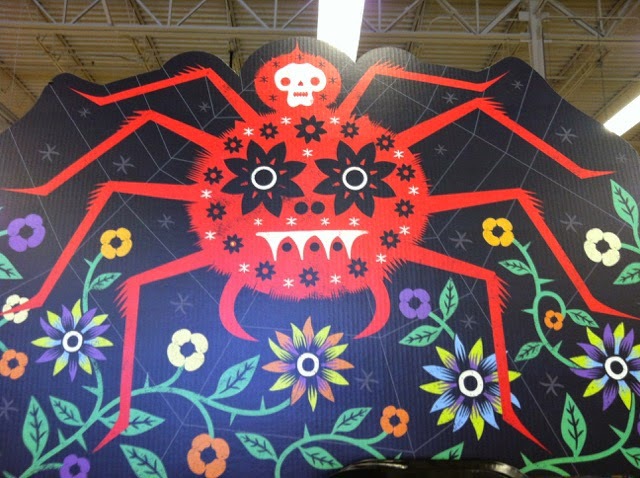 I saw these very cool Dia de los Muertos signs/posters at World Market. These ones weren't for sale, as they were for point-of-purchase. 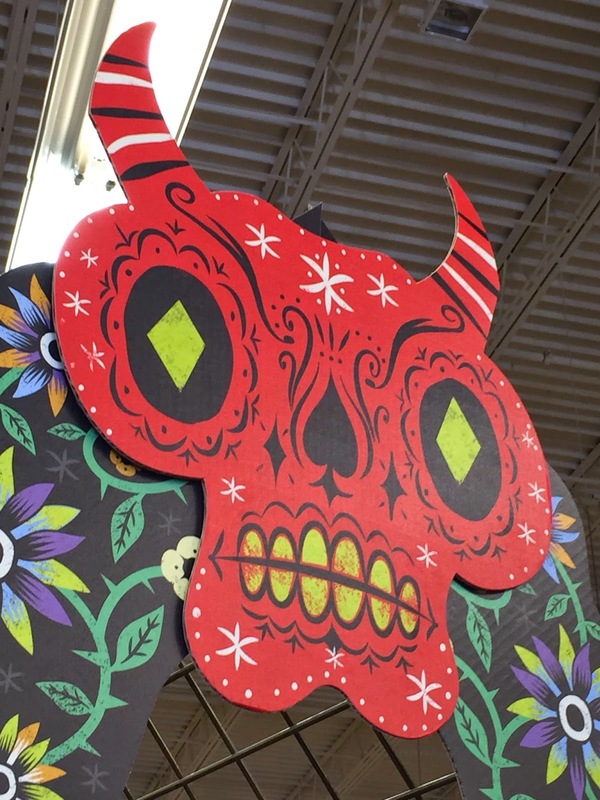 World Market also has some DDLM-inspired pieces, including items for the film "The Book of Life," which comes out on October 17. 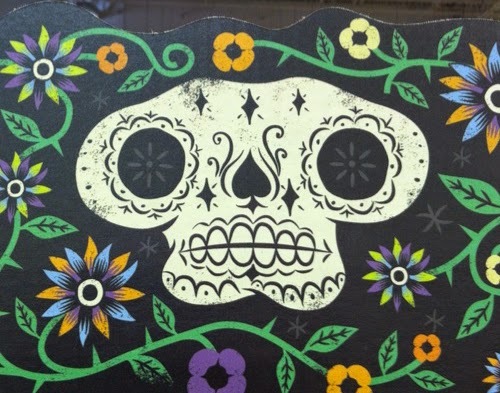 The overwhelming majority of DDLM items in my personal collection are true folk art from Oaxaca and Veracruz. A lot of the items you'll find at stores are now made in Peru or China from molds. They may be hand-painted, but they tend to lack the individuality of items that are made by artisans in southern Mexico.